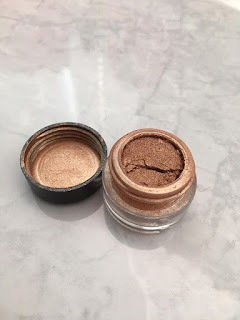 Hey folks, when I discovered this dupe I knew I just had to let you guys know about it! 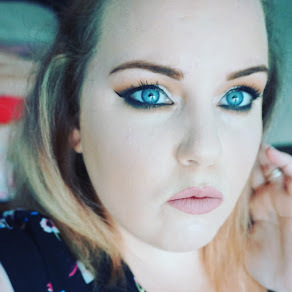 MAC Cosmetics 'Melon' pigment is a cult favourite and the minute I bought it I could see why. 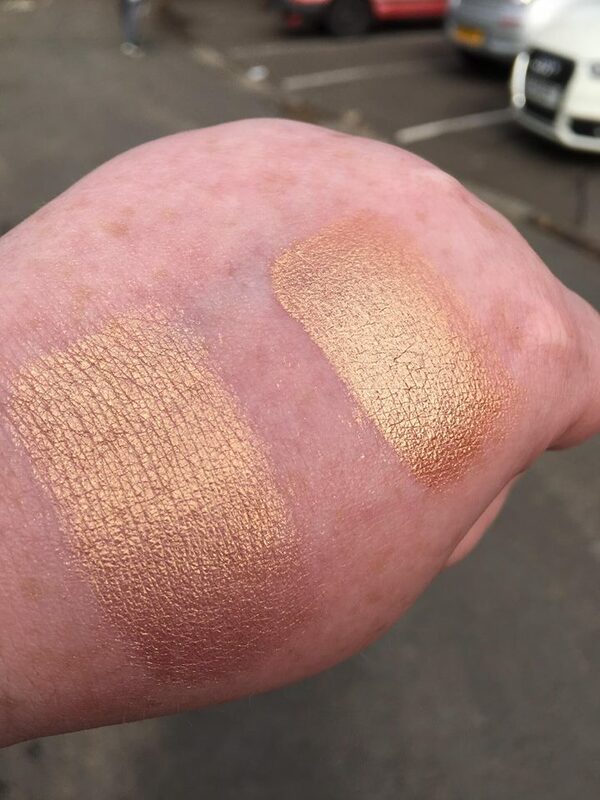 The golden peach shade is stunning and makes any eye colour pop. 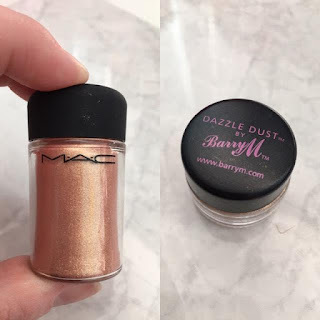 When my friend was over at my house doing her makeup I noticed the Barry M dazzle dust in 'Tan' in her makeup bag and I immediately noticed the similarity with the MAC pigment. In the above swatches you can see how similar the products are. The left hand side swatches are The MAC Pigment and right ones Barry M. What surprised me was that I needed Numerous layers of the MAC Pigment to try and build the same colour payoff as I got with one layer of the Barry M one. 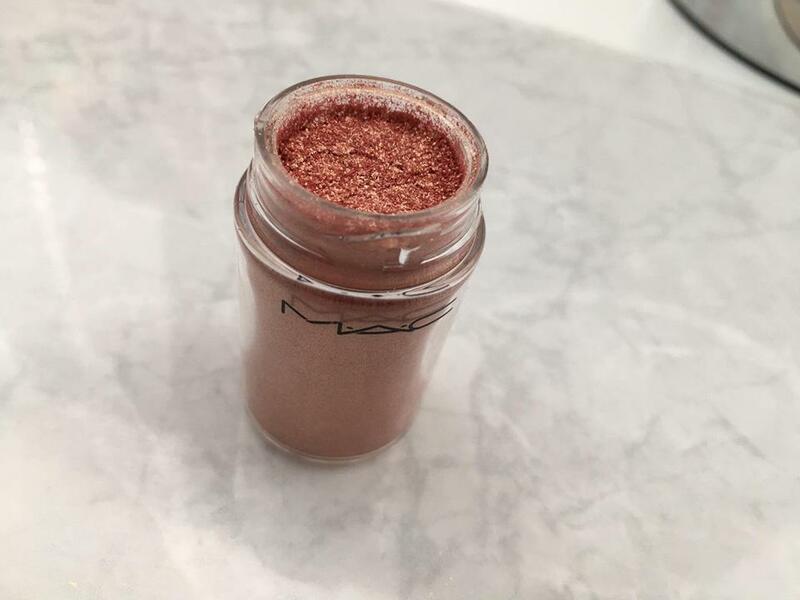 The dazzle dust also applied flawlessly to the eyes with no fallout whereas when I use MAC Pigments I find I have to use a glitter glue to really make it stick to the lid. 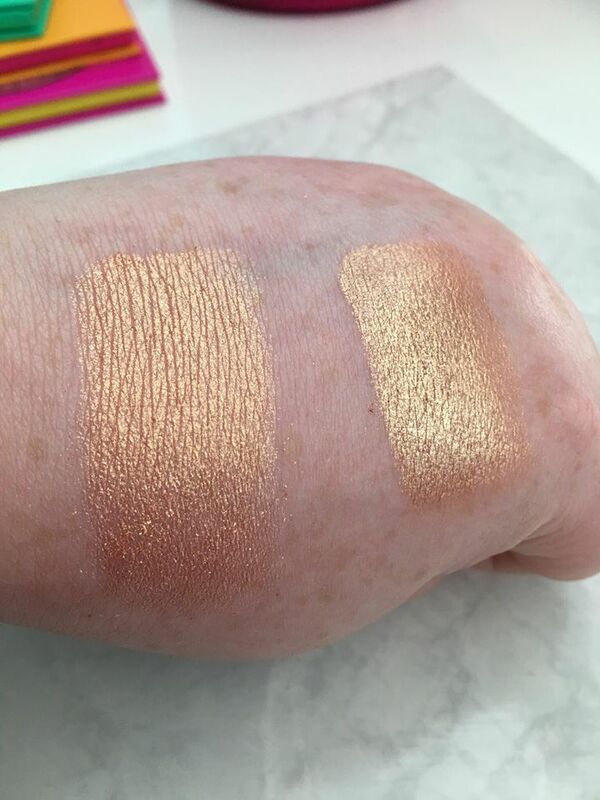 The price difference is what made me really impressed when I discovered this dupe. MAC Pigments retail for £16 compared to Barry M Dazzle dusts at £4.59. I cannot wait to collect more shades of dazzle dust and see if they are all as good. 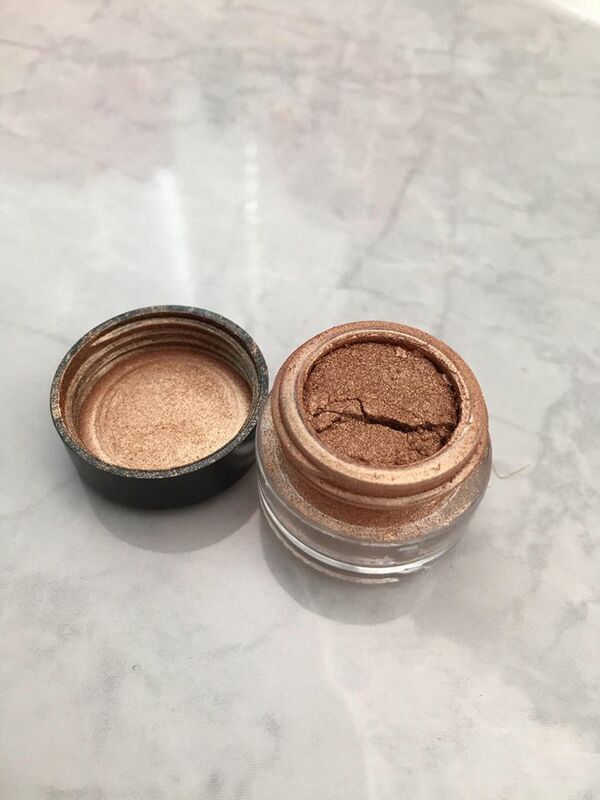 Please let me know if you know of any other good dupes.